Reg Harrison, 95, played on the wing at Wembley in 1946 when the Rams beat Charlton 4-1. 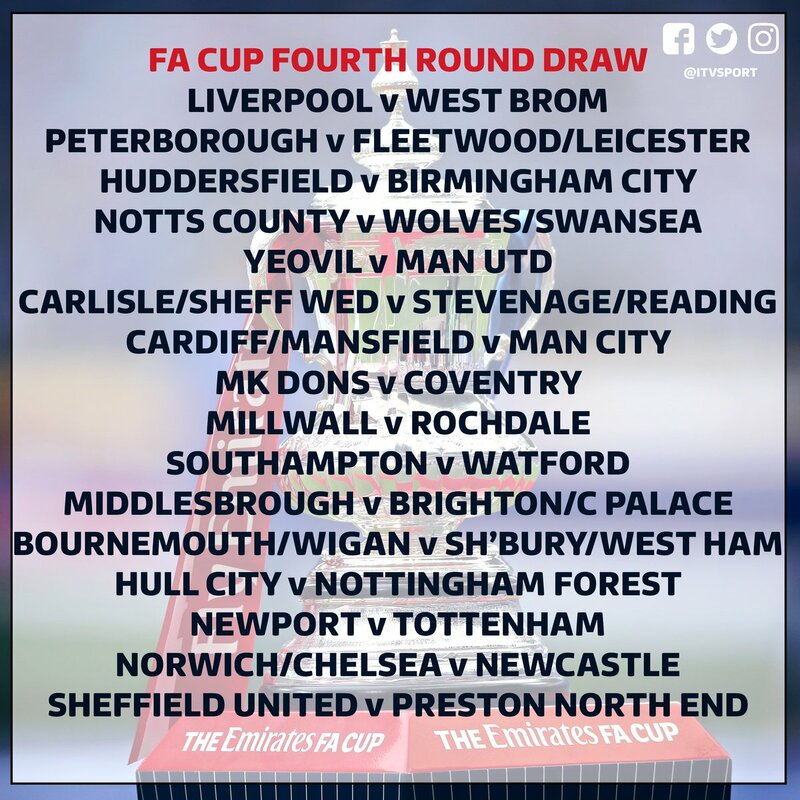 Here's the full draw for the FA Cup fourth-round. Lincoln City will face Sutton Utd or Arsenal in the quarter finals of the FA Cup. Hundreds gathered to watch the draw live, and when fans saw that the game would be away - possibly at Premier League giants Arsenal, there was a huge cheer. Lincoln are the first team in over 100 years to reach the FA Cup quarter final, but their historic achievement could be equalled if Sutton Utd beat Arsenal. The ties will be played between 10 and 13 March. Lincoln City's goalscoring hero, Sean Raggett, has described the moment he scored his side's only goal, as they beat Burnley in the FA Cup. Lincoln City have snatched a dramatic late win at Burnley in the FA Cup fifth round. Sean Raggett headed in a corner for the Imps in the 89th minute, with the ball only just crossing the line. It means Lincoln are the first non-league side into the quarter finals of the FA Cup since 1914, and they are just one game away from a Wembley semi-final. Lincoln City have held Burnley to a goalless first half in their FA Cup fifth round tie at Turf Moor. The away side made a bright start to the game, and held their own against the tip-tier opposition. Indeed, Jack Muldoon could, or maybe should, have put Lincoln ahead, but he could only fire over when well placed. Andre Gray had perhaps Burnley's best chance to open the scoring when he got free in the box, but he shot was too close to Paul Farman in the Lincoln goal. Fans of Lincoln City football club have been up early as the head up to Burnley for this afternoon's FA Cup 5th round match. FA Cup Second Round: Who did Midlands teams draw?